How can I guide users through my navigation metaphor (or replace it with a better one)? You click on a category to enter it. Each category can hold sub-categories, and eventually you get to a bunch of balls that represent the games. If you click on a game, you leave this hub view to play that game. Our challenge is this: how do we guide kids to certain games and away from others? For instance, if a kid is weak in fractions, we want to steer him to the fractions games. But those games are scattered in various categories beneath this hub view. Or we want to discourage playing a certain game, because we think it's below grade level, but we don't want to prohibit/lock it, because maybe the kid needs to review that material. My best idea so far is to reduce the opacity or color saturation or size of the balls that we don't want the player to pursue as much, but I'm not sure how much I like this. Is there a better way of guiding the player along certain paths? Or, is there an entirely different way to represent this information and help users navigate through it? Is there a better way of guiding the player along certain paths? The question can be rephrased to be: "how can we catch their eye and pique their curiosity?" A child logs in and you want to lead the child down one path as opposed to another. Movement attracts the eye. Make the path you want the child to go down more vibrant, more interesting, more exciting. How you do this is dependent upon your imagination. I don't know how you're branding this. Do the children use avatars? As they level up can they add to their avatars? Are there games between levels? Use rewards like breadcrumbs to lead the child to areas he would not go on his own. The other thing that really works is competition. 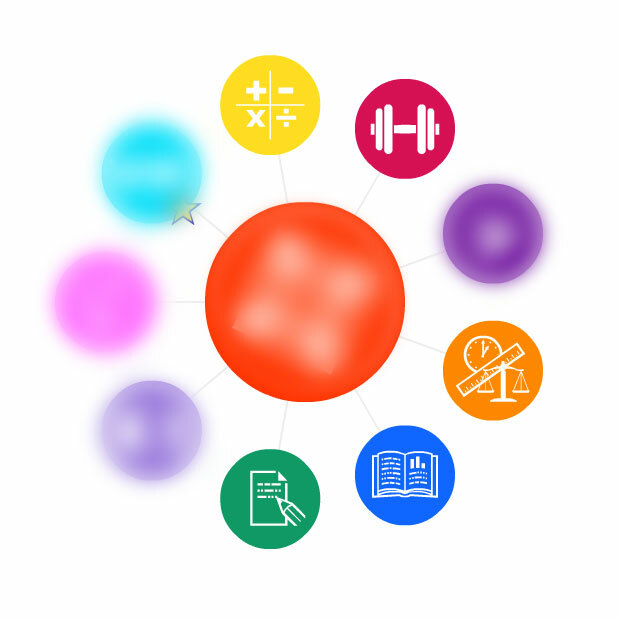 Mathletics has this built in but other maths games like tutpup (not sure if that is still around ) where kids can challenge others to do games. In terms of your visual display I think size might be the most valuable thing to vary... They could still click on the others and increase the size but present them initially as smaller. How can I design navigation that also represents timed progression through stages in a process? How can I best display this navigation menu with submenu? How can I make a navigation for an older demographic?